You may love your home and neighborhood and can’t ever imagine moving. But, maybe your needs and tastes have changed. Are you ready for an addition and some extra space? Or, maybe expanding your kitchen or upgrading your master bath is on your wish list. If so, a home equity loan or line of credit can be a great way to finance a home improvement project. The equity in your home is basically the difference in the home’s market value and what you still owe on it. For example, a home that’s worth $250,000 but has a $200,000 mortgage balance has $50,000 in equity. Therefore, a home equity loan (or term loan) allows you to take a loan amount based on your home’s equity plus other factors such as your income. These loans are sometimes called a second mortgage. Upon the loan’s approval, you get a lump sum and must repay a certain amount each month subject to a fixed interest rate, just like a first mortgage. Usually the length of the loan is shorter than first mortgages, usually five to fifteen years. What’s A Home Equity Line of Credit (HELOC)? With a “line of credit,” you are approved for a certain credit limit based on your home’s equity. This loan functions almost like a credit card in which you can withdraw money when you need it over the lifetime of the loan, such as 10 years. You only pay interest on the amount you withdraw and not on the total amount approved. • You have the freedom to use the funds for whatever your need or needs may be, unlike student or auto loans that are very specific. • Interest rates are usually much lower than credit cards. • Interest paid on your loan is tax deductible. • Additional fees and closing costs for this loan can be rolled into the actual loan amount. • If you can’t pay back the loan, you risk losing your home. We’re fortunate that the DC real estate market is more stable and these loans are starting to become available again for homeowners in this area. Our stronger prices mean more homes have retained their equity here than in other parts of the county, which increases your chances of getting approved for a loan. However, look around your particular neighborhood and your own house for a realistic review of your property situation. The approval requirements are much tighter for borrowers in today’s market. And, the process can take longer since you may have to shop around for a lender since some of the big banks have shied away from these loans. If your credit is good and your home has equity, then you can be a good candidate. Just remember that the lender will consider your ability to repay the loan by looking at your income, debts, and other financial obligations as well as your credit history. Most importantly, be wise when taking out one of these loans!! You first should ask yourself why you need this loan. You SHOULD NOT use this loan for everyday expenses on clothing, vacations or gifts but rather for a very specific project or need. Taking out a loan just to have access to money for frivolous expenses does not make sense. 4. business development/starting a business. These choices are ones that financial experts tend to agree upon. 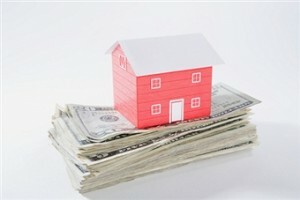 It’s very important that you are financially prepared to pay back these loans since you don’t want to lose your home. Use your army of advisors to help you decide which type of loan is better for your particular situation – Home Equity or Line of Credit. 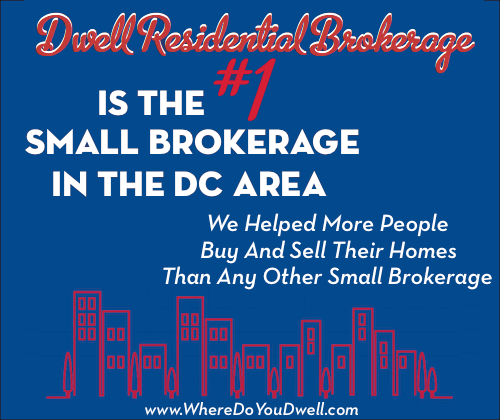 You can talk to us at Dwell about the housing market, your lender about the implications of taking out more debt, your financial advisor about your larger financial picture, and your CPA about how this will impact your tax situation. Our experience was very positive. Amy was always available and willing to work with us on contract language, terms, etc. She was very friendly and happy take us from the Palisades to Alexandria to Capitol Hill. She definitely deserves an A!